Once you begin giving your child Infant Formula, you may find that you have to increase the amount of time between each feeding. This is perfectly normal and you don’t need to be concerned about this change in behaviour. The cause of this is that your little one will take longer to digest their Bellamys infant formula than they did breast milk. Whey and casein proteins are found in both types of milk. However, the concentration of each protein is different. In breast milk, there is a greater amount of whey which is more easily digestible. The bottled milk, on the other hand, has more casein which takes more time to digest. The result is that your baby will feel fuller for more hours after they are fed. One of the things that may catch your attention is that your child is consuming different amounts at various times of the day. They may drink a considerable amount in the morning but be less enthusiastic at lunchtime. This is quite standard and it is perfectly alright to follow this routine. Of course, you should make certain that your little one is getting the right amount of food. A good rule is to ensure that each day they are consuming 73ml for every 0.5kg that they weigh. As long as this is being met, it doesn’t matter that the individual quantities vary. If you happen to look at your little one’s diaper after they have switched from breast milk, you may be met with some surprising finds. This too, is an expected change, though and shouldn’t trigger any concern. You may discover that your child’s stools will vary in colour, smell, and even consistency. So, why does this happen? It is merely because your child’s system is adapting to the changes in his or her diet. As you know, there are different types of organisms within your infant’s digestive tract. Well, these can vary depending on what your child is consuming. This is why their stools can look quite different than what you are used to. As a whole, synthetic milk is the same across the board. Since your child needs some basic nutrients, you will that many of these brands offer the same benefits. However, you may find that your little one is just not reacting as well as he or she should to their new milk. This is often because of an insensitivity or an allergy. They could be finding it difficult to digest the lactose or protein in the milk. A doctor will be able to take a closer look and recommend a new brand for your child. 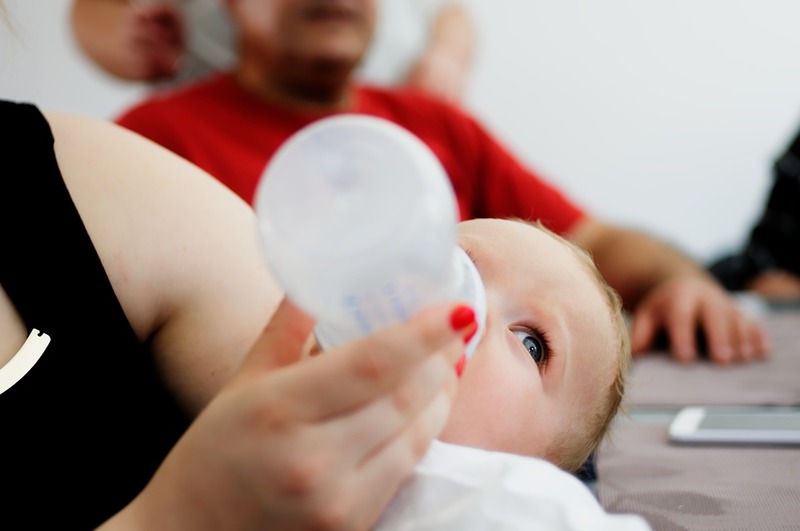 These are some of the things that you may notice once you have started bottle feeding your baby. As you can see, most of the reactions are quite normal.